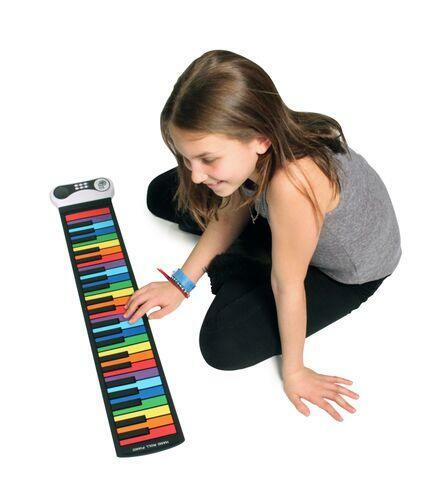 This colorful piano features 49 standard keys, multiple keyboard tones to choose from, loads of demo songs to inspire creativity, a built-in speaker, and record and playback buttons for documenting your skills and your progress. Just unroll it atop any flat surface and you're all set to jam! Includes USB Cord and instructional booklet. Dimensions: L: 31" x W: 6" x H: 1"